Today in this post, I am going to show you how you can reset your Android device yourself, how you can reset your Android device password if your device is locked. In most of the cases people forget their password, and due to several wrong attempts, their Android device gets locked. If you are experiencing the same problem and thinking of how to enter into your Android device, then this guide may help you to overcome this problem. There are many methods of resetting your phone when your Android device is locked; you can try any of this method mentioned and explained below on your Android device in order to overcome this problem. Step 1: Switch on your phone. Step 2: Go to phone dialer and open it. Step 3: Now dial *2767*3855# and tap the call button. That’s it! You are all done, you will successfully reset your Android device, and once again you will have full access on your device. In order to use this method, you need to have a PC/MAC at home or office. If you don’t have one, borrow one from your friend or relative for the time being. Step 1: Download this program on your PC/Mac. Use the download links given below. Download link for Windows OS from this URL. Download link for Mac OS from this URL. 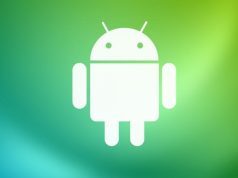 Step 2: Once you have completed downloading, run Android data recovery on your PC/Mac. Step 3: Under Android data recovery go to More tools. Step 4: Under More tools click on Android Lock Screen Removal and click Next. Step 5: Now connect your Android device to your PC/Mac using a data cable. Step 6: Now it will prompt you to remove the password that you have forgotten on your Android phone. Step 7: Click on Start. Step 8: The process will start, and your Android screen lock password will be successfully removed. So by following the above method may also help you to Reset your Android screen password. This method is easy and simple to perform. Follow the steps given below. Before you proceed, read the note carefully. Note: Before resetting the Android phone from Recovery Mode, make sure that you know the username and password of the Gmail account that you used while setting up your phone for the first time. Because, after the reset using Recovery Mode, the phone will ask you enter the Gmail username and password associated with your phone. If you don’t know it, you won’t be able to pass the setup screen. Step 1: Switch off your phone completely. Step 2: Now press and hold Power button + Home button + Volume Up + Volume Down + Camera/Power button simultaneously. Step 3: Now you will enter into the Recovery mode. Note: The key combination to enter the recovery mode can be different for difference devices. A quick Google search can give you the right key combination to boot your Android phone into recovery mode. Step 4: You can use Volum Up and Down button to move, and camera/power button to choose an option. Step 5: Go to Wipe data/Factory reset option. Step 6: Under Wipe data/Factory reset option click on ”Wipe cache partition. Now all your phone settings and data will be erased completely; the process will take some time to complete. Once the process gets completed, Reboot your phone once. That’s all for now; you can use any of these 3 methods mentioned above to reset your Android device. For any doubts or suggestions do let us know in the comments.